It is a great way to spend a long weekend in summer! A gorgeous village in the east of the country surrounded by beautiful forested mountains, has some of the best whitewater in western Europe. 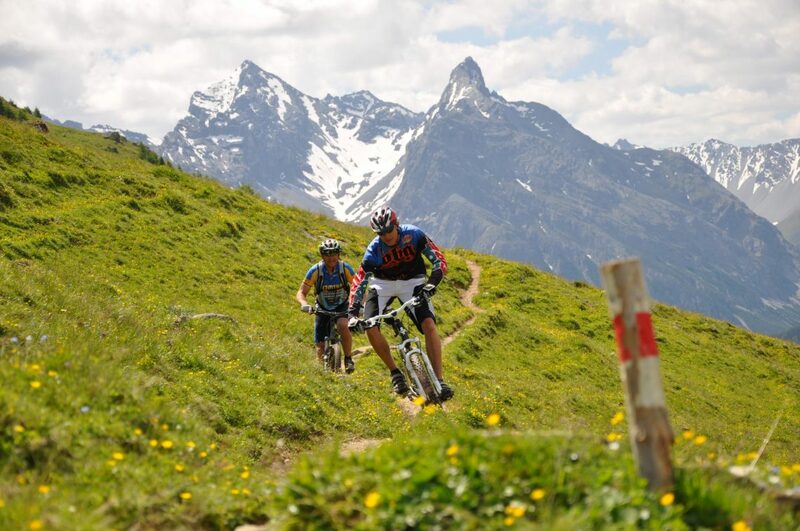 This action packed few days not only gives you the adrenalin rushes of the river rapids but also the chance to try your hand at paragliding or downhill mountain biking! Come on your own, or get a group of friends together. Our guides will be there on all the activities to share your adventures, they know this area well. 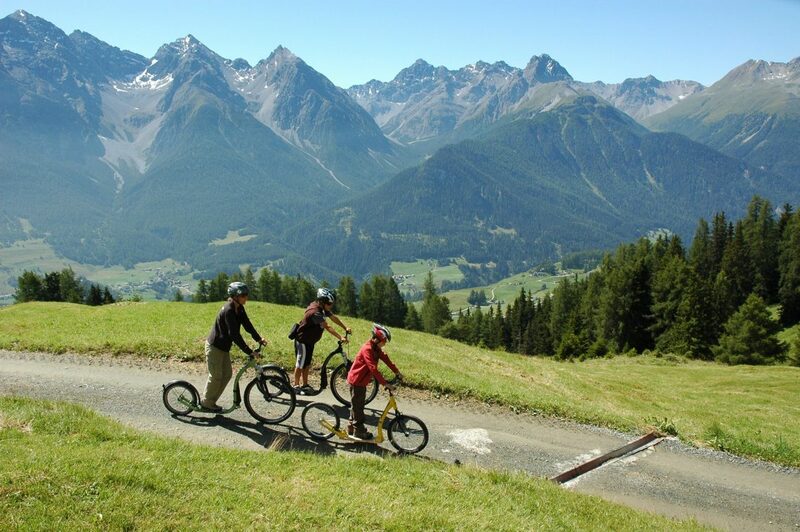 In the same valley as the famed St Moritz, Scuol is a gorgeous area with stunning mountain trails and views. Far from traditional resorts such as Interlaken, this area gives you the chance to sample a piece of real Switzerland. Awake and breath in the clear mountain air, you are in some of the most beautiful Alpine ranges in Europe. This morning will be spent exploring the charms of the National Forest nearby. After a gorgeous lunch it’s time to take on the slopes… on mountain bikes! You will be given full protective gear to wear and a top of the range, full suspension mountain bike and looking like your very own set of ‘Ninja Turtles’, you will head for the slopes. 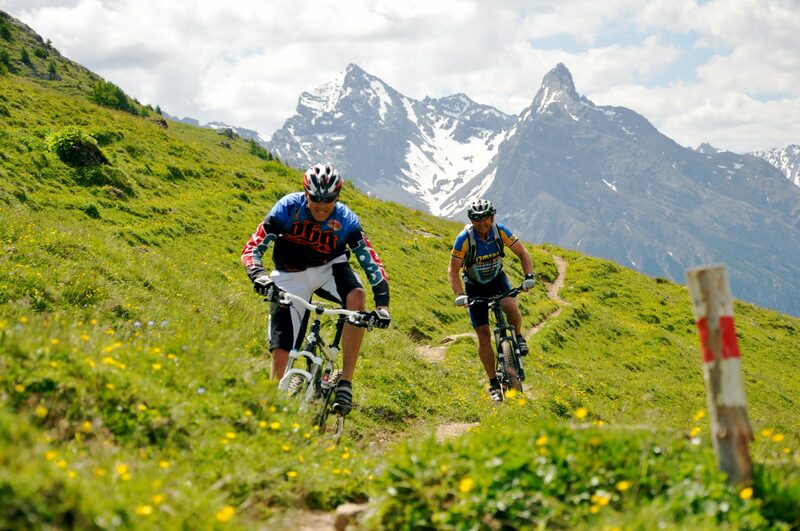 If you’ve never done this before this is huge fun, all the fun of mountain biking with a different edge. Then back to the hotel for hot baths to soak any aching muscles before heading out to one of the numerous superb restaurants in Scuol for your evening meal and a few drinks to discuss the day’s highlights. 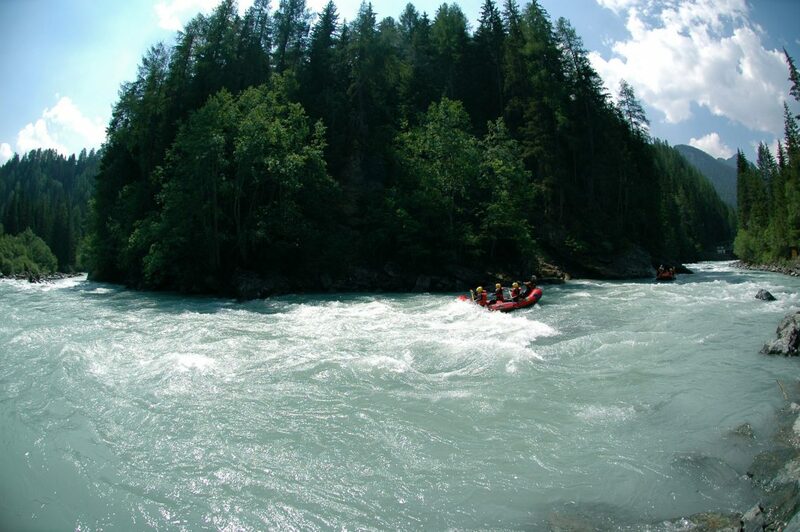 Today is your chance to have some fun on the River Inn, some of the best white water in Europe. 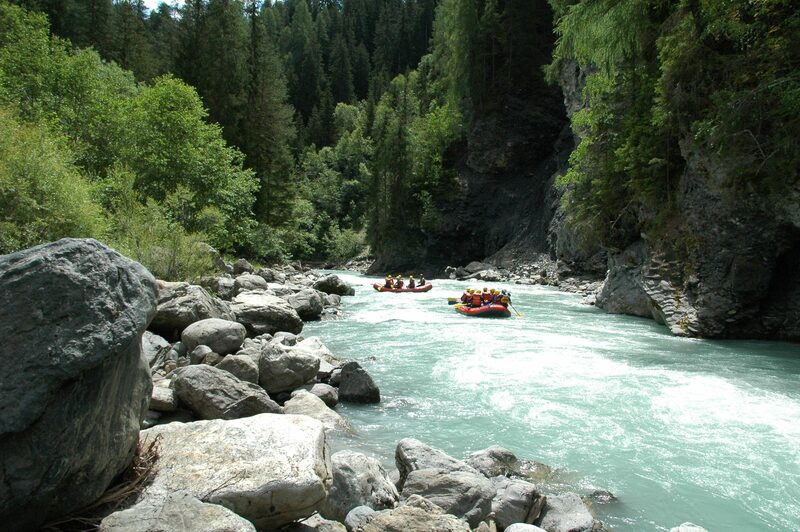 After a thorough safety talk you will be guided through some big drops and narrow gorges such as the Scuol and Giarsun gorges and enjoy the thrills of some great roller coaster rides. 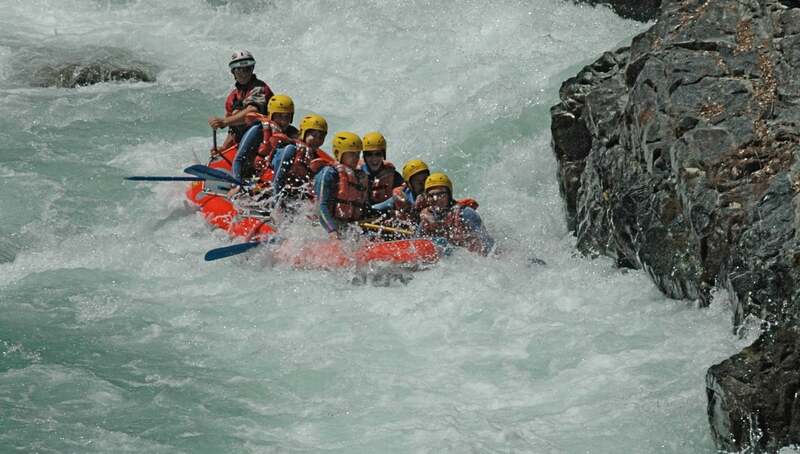 This is fun but technical white water loved by all our guides. And after all that excitement a hearty meal will be in order, our guides will prepare you a feast of steaks and salads. Then the only things left to complete your weekend is hot soak in the healing waters of the local baths. Later that evening your group will be taken out for a slap up meal and you all to share your stories, feel free to exaggerate, the guides will! Enjoy a leisurely breakfast and some time to relax around this beautiful town, maybe some retail therapy, before boarding your train back to Zurich for your onward flight home. In order to give you increased flexibility for your holiday please call our UK or US office’s for advice on who to book your flights with. Alternatively, why not use your frequent flyer miles for your adventure? There are many options for your flight to Zurich with Swiss, Lufthansa, BA or the Low Cost airline, Easyjet. Alternatively we have teamed up with GYT who can provide you with a competitive flight quote by filling out this form on the Water By Nature website. Please ensure you DO NOT book your flights until your trip is CONFIRMED. 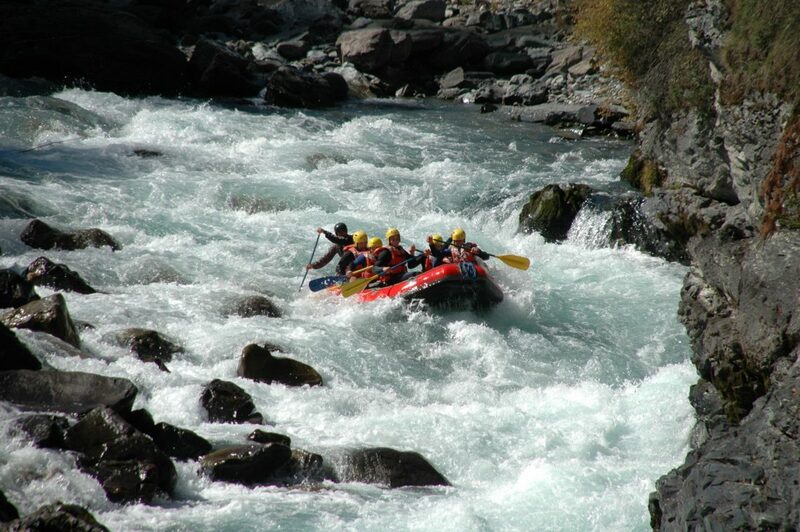 We have price and departure information about the following trips in Switzerland (river prices only – flights not included). In order to secure your place pay your deposit of £300 per person (USD$420 for U.S. customers). 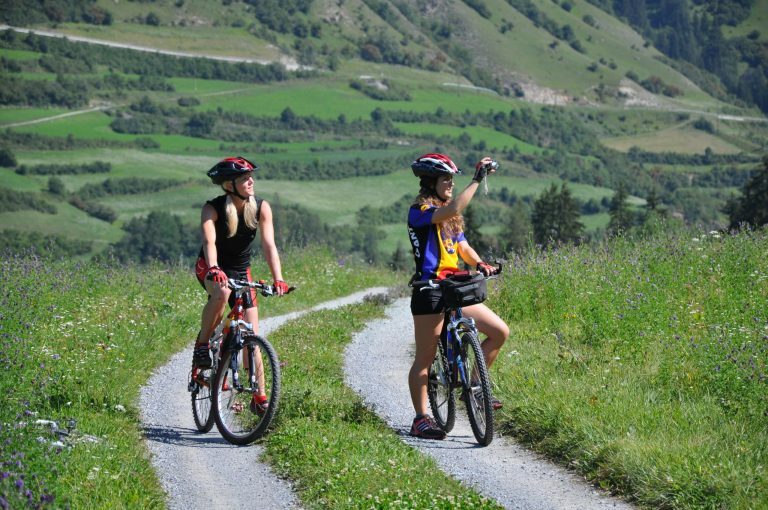 We find most of our clients have in their posession already what is needed for our Swiss Adventure Weekend. 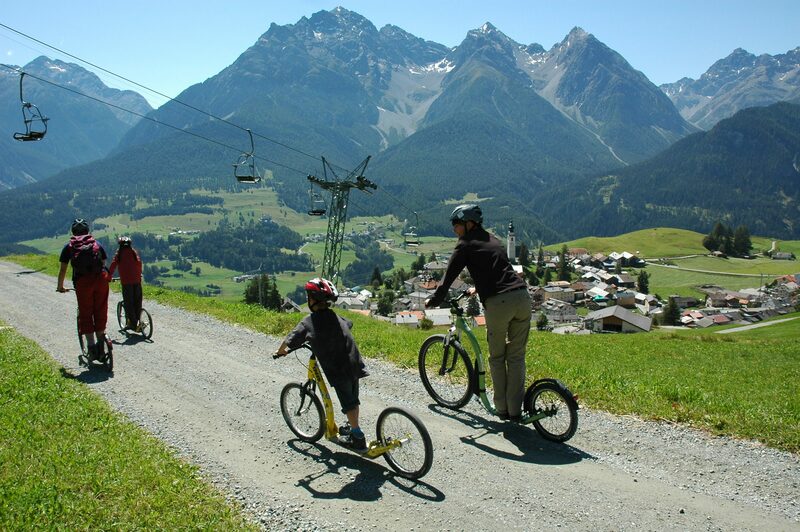 We have broken down here the items into what you’ll need on the river, for biking and for evenings in Scuol. An equipment list of what you will require for your adventure will be sent to you prior to your departure along with your Water By Nature Travel Bag. A pair of Chacos or similar sandals. Wetsuit boots are supplied. A pair of River shorts * or swimming costume. Nalgene * or similar water bottle. Carabiner * for fastening water bottle to your boat. Thermal Top for cooler destinations. Medium weight – Heavyweight Capilene or polypropylene is the best, wetsuits, wetsuit jackets and spray jackets are supplied. Toiletries. Toothbrush, toothpaste, soap and shampoo.